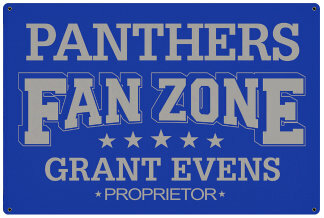 Display your team pride. 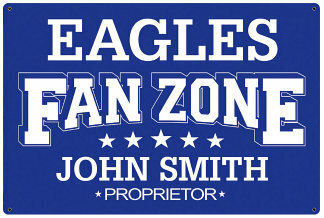 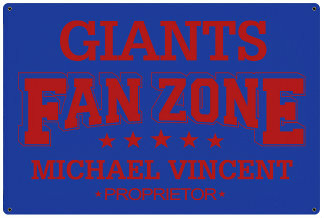 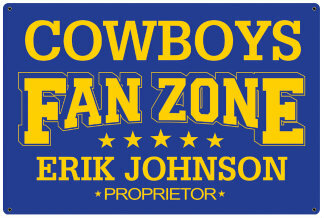 This Personalized Fan Zone Metal Sign - Royal Blue is ideal for the home bar, office, garage, man cave, game room, kids room, established bar or other room. 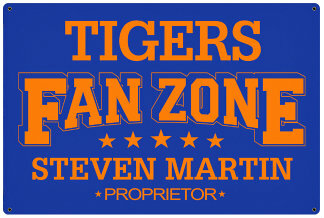 Personalize with a team name or city, proprietor's name and then choose from gray, orange, red, white or yellow colored text (writing) with a royal blue background.